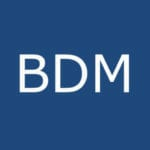 BDM Nominated for Boutique Law Firm of the Year. It was an honour to be nominated by Legal Business for Boutique Law Firm of the Year 2019. Sadly we could not make the prestigious dinner and Awards ceremony but our congratulations go to the winners Northridge Law. Boutiques are increasingly the preferred option for discerning clients and we are very pleased to count some of the world’s major ship owners and insurers as our clients. Many thanks to our team and all those clients who have given us the opportunity to prove ourselves.